Dentaltown Learning Online is pleased to present online "The Indispensable Team. Recorded Live at Townie Meeting" by Sarah Cottingham. Learn how dental and medical practices have transformed their stagnant “OK” results into a thriving, growing masterpiece! This is created by an indispensable team! Do you have one? Are you an indispensable team member? Individuals and teams will hear about those elements that make the difference. They will take home the nuggets of information that will inspire action and accountability. With new actions come accomplishment. The results will be a team member, a department, and ultimately a practice that is exploding with enthusiasm and exponential productivity! Recorded Live at Townie Meeting 2014! Sarah Cottingham, CEO of BCS Leadership, LLC, comes from a 25-year background in dentistry. 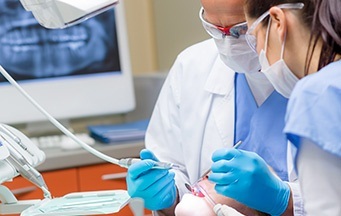 Starting in dentistry as a dental assistant, then attending Northern Arizona University, Cottingham began practicing as a Registered Dental Hygienist in 1991. From dental hygiene Cottingham found her way into the business of dentistry by managing a successful multi-doctor practice while continuing to practice dental hygiene part time. Cottingham successfully helped business owners acquire struggling practices and transition them into profit centers. In continuing her commitment to success, Cottingham assists owners with building their businesses into predictable, successful enterprises. Cottingham inspires change and produces results, working with teams large and small, implementing “Success Structures” that ensure the business owners’ largest asset is growing into a self-sufficient, thriving and sustainable business.